Samsung Electronics appears to be revisiting its strategy for the Galaxy A Series smartphone models to be released in 2019 which are positioned just below the premium and flagship models in S and Note Series. One of the important changes will be the under-display fingerprint sensing technology would be introduced on these models. Samsung has been working on this technology for the past couple of years but has not included it in the top-end phones. Either Facial ID or the physical fingerprint sensor on the rear panel of the smartphones was the option exercised. There was the additional challenge when the Infinity displays were introduced. The fingerprint sensing function was then shifted to the back or side of the phone and a dedicated button as the Home button was eliminated. Reports from China claim that out of the 8 or 9 different A Series smartphones that Samsung will release through the next year, at least 4 or 5 will sport this FOD feature. The company has been promoting these A series phones as premium mid-segment devices meant to attract buyers in many price-sensitive markets in Asia and elsewhere. If you have already heard about the ultrasonic under display fingerprint sensor and unlocking feature that will be included in the Samsung Galaxy S10 Plus model, then there are 2 other ways the function can be activated. One is the optic method and the third is the electrostatic discharge type. Samsung has vendors for each of these technologies. For the flagship S10 phones, it will be Qualcomm that will make the ultrasonic sensors. The optics technology-based FOD will be sourced from Taiwan and used in the 2019 A Series phones. 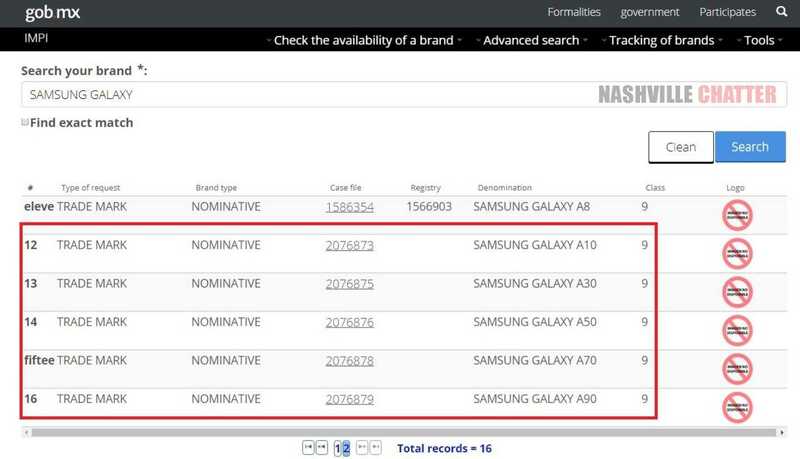 The other important change Samsung is likely to introduce going forward is in the numbering of the models. The current practice of sequencing the phones as A3, A4, A5, A6, A7, A8 and A9 will be dropped and instead it would be A10, A20, A30 and so on. There is even a suggestion that this may be extended to the other series. The company has already trademarked the names A10, A30, A50, A70 and A90 in certain regions like South Korea and European Union. Samsung might either come up with names like A20, A40, A60, etc. or A15, A35, A55 and so on for the other phones in the 8 to 9 A-series phone line-up. These are interesting developments and may signal more things to come from the South Korean company. A lot will be known during the MWC 2019 in February.